Courtney Hawkins throws out the ceremonial first pitch Monday at U.S. Cellular Field. Courtney Hawkins taking batting practice at U.S. Cellular. For Courtney Hawkins, the past couple of weeks have moved faster than his pitches. The 18-year-old was the top-draft pick for the White Sox. He was selected as the team’s first pick, 13th selection overall. He played in the Texas state high school baseball championship, where his team took third. And on Monday, he signed a $2.475 million contract with the South Siders. Right after Hawkins signed the deal at a press conference, he put on a big league uniform and went to batting practice, working out on U.S. Cellular Field, where he was given the opportunity to throw out the ceremonial first pitch. While stadium’s collective attention was centered on the 6&apos;3", 220lb player, I looked onto the stands. There, wearing a bright pink shirt, brand new Sox cap — and huge smile — was his mother: Larissa Hawkins and his father, Tim Hawkins, Sr.
Courtney’s journey to the White Sox was just as much theirs as it was his. They were in New York when he was drafted and traveled to Chicago to watch his dreams come true. As Larissa talked about her son, her eyes began to well with tears. "It’s very special to see him reach his goals," she said. "It’s been a long struggle and it is all paying off." Many wonder if this high school player from Corpus Christi, Texas is mature enough for the next step. Baseball allowed Courtney to do a lot of traveling during the summer months. His mom said she realized that maturity was not an issue when he traveled to Taiwan when he was 15, competing in the USA National Team for the 16 and under. “When he came home after winning the gold, I told my husband he became a man; he’ll be OK,” she said. Courtney’s mother has no qualms about her son starting his professional career. Although there were no plans for the family to be with him at his first stop in the Advanced Rookie Bristol, at the Appalachian League in Virginia, they will be attending future minor league stops. His physical statue is more like a football player (his brother, Tim Jr., is at Texas State on a football scholarship) Courtney did play the sport but he focused on baseball. Playing baseball since he was five years old he excelled in it; Mom said the die was cast. “Baseball made a decision for Courtney, that was his gift,” she said. Larissa said he is a sweet nature[d] young man but not a "pushover." At one point before high school, Courtney had a weight issue. At 13 he was 270lbs. His mother and brother were concerned about the problems that would develop—including peer pressure. The two brothers set a goal and worked together to get Courtney in shape. The work obviously paid off. He dropped the weight and had success as a pitcher but then developed into a power hitting outfielder. 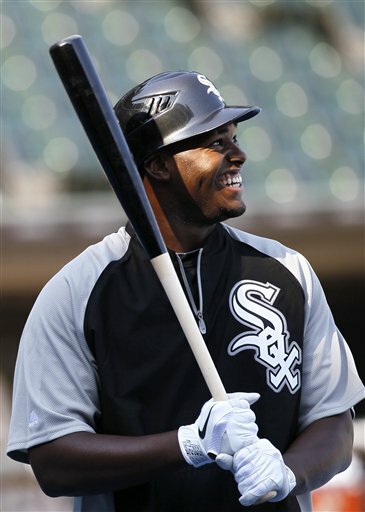 When will Sox fans get to see Courtney Hawkins on the major league roster at U.S. Cellular Field? Some baseball people think it may be three years; he is setting a goal a little sooner. He would like to make it in 2½ years. 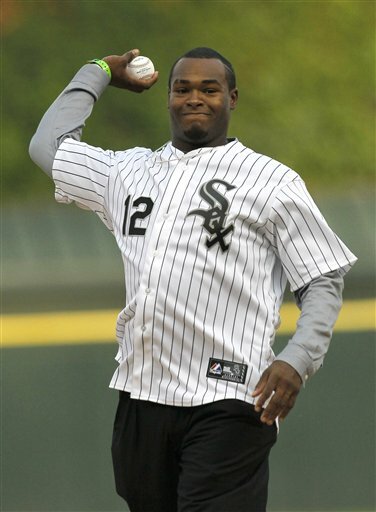 As for the back flip he did on draft night, Larissa Hawkins assures the White Sox that was Courtney&apos;s last. And this mom’s word is worth its weight in gold.